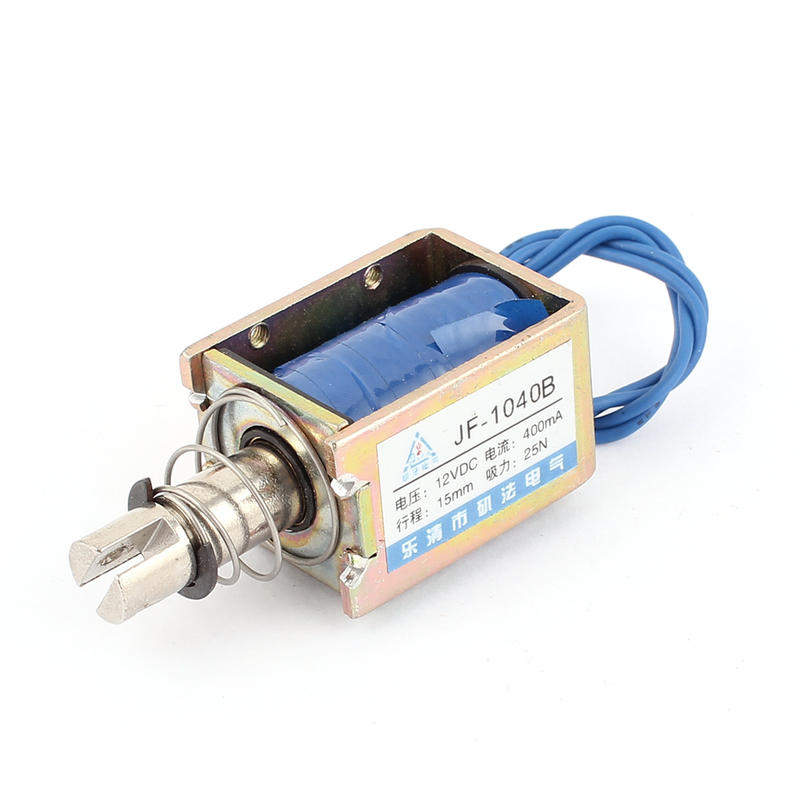 Cable Length 17cm / 6.7"
Pull push type, linear motion, open frame, plunger spring return, DC solenoid electronmagnet. Solenoids of this category work externally through pulling pushing in plunger. When energized, doing work through pulling pushing in plunger joined object. Body Size : 40 x 29x 25mm / 1.6"x 1.1"x 1"(L*W*T);Plunger Bar Size : 10 x 74mm / 0.4"x 2.9"(Max.D*L);Mounting Hole Dia. : 2.5mm/ 0.14"